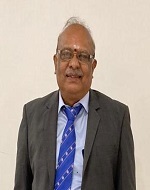 Sri.B.A.Kodandarama Setty is the Chairman & Managing Director of Vivek Limited. 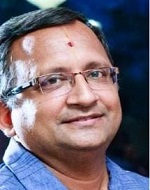 Founded in 1965 as Vivek & Co., the company was built by him with a visionary zeal, into the countrys largest consumer durable retail chain serving customers across Tamil Nadu and Banglore. A Retd.as Finance Manager in Larsen & Toubro-EDC Division. Founder of Hindu Mission Health Services and Hon. Secretary since its inception. 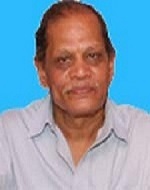 Last President and Board Member in Modern Indian Educational Society, Modern School. President in Sri Sarvamangala Seva Samaj, Sri Dharmalingeswara Temple. President in Varasiddhi Vinayagar Baktha Jana Sabha, Hindu Colony. 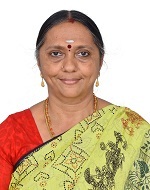 Managing Trustee in Akila Bharatha Sadhu Sangam Trust. Financial planning Advisor for Aviva Life Insurances. Member of Guruvayur Asathika samajam - Nanganallur. Sri.V. 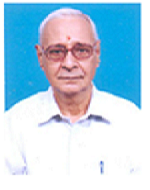 Natarajan is a well experienced Banker, retired as Asst. General Manager of Indian Bank. He has sucessfully hold various positions during his service in the bank. Apart from his position of joint secertery in our hospital, he has also taken the position as President 2016-2017 in Rotary club of Nanganallur. 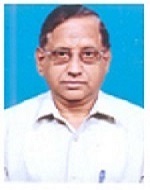 Sri.S.Ramchandran has a wealth of experience as a retired officer of Indian a Administrative Services,Nation’s Premier Service.He has successfully carried out a number of large projects for social welfare during his tenure in various positions in the state, including some projects as District Collector of more than one district. As District Collector Madurai he received the “BEST COLLECTOR AWARD” of one “ GOLD MEDAL” and a cash Award of Rs 25,000/ with a citation in 2002 for services to Handicapped.